Not got a dog or can't bring it down on the 15th September or you have other pets at home then this is your chance to take part in a show without the need to bring them along. We are asking pet owners to take pictures of their pets and for 50p per entry per class you can enter your cat, rabbit, horse, donkey, stick insect, tortoise, whatever it may be into a virtual pet show..
Have you signed up for your place in the Giant Animal Mascot Race yet? We are now up to 19 Giant Animal Mascots for the Giant Animal Mascot Race for the Animal Welfare Seafront Sunday. 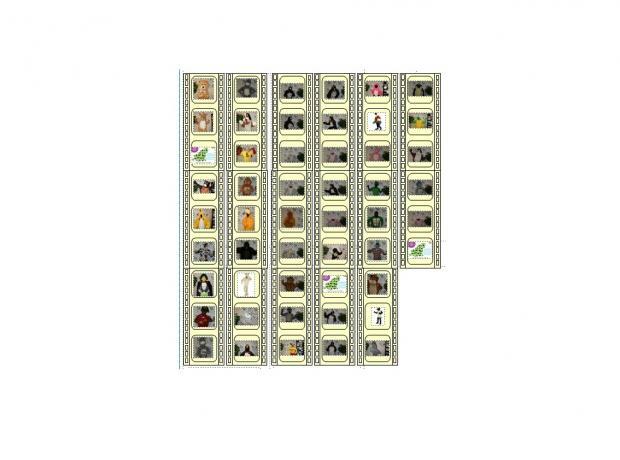 With another 40 suits to fill the film strip pictured are those still yet to get an owner for the races that are due to start at 1pm on the day. Whether your a business with a keen staff member or just chatting to your friends down the pub its a great race, raising funds to help animals in Guernsey. 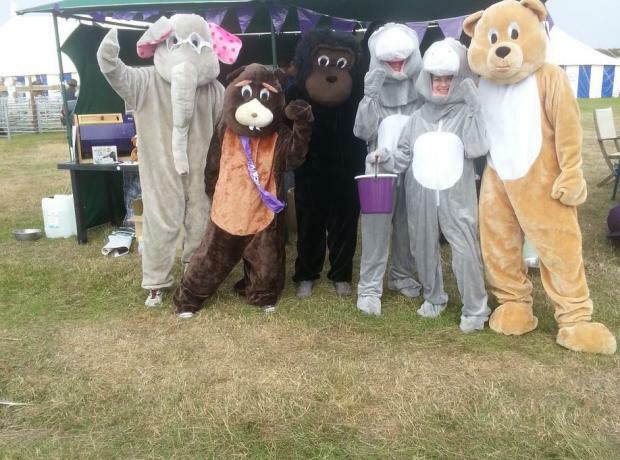 With only a month to go we have plenty of suits still available for the Giant Animal Mascot Race. Last year we had nearly 40 racers and this yer we are hoping for more. For only a minimum £50 sponsorship we supply the suit and you can race from the Ship and Crown to Town Church and back with all the funny props we have lined up from spinning plates to inflatable eggs and spoons. 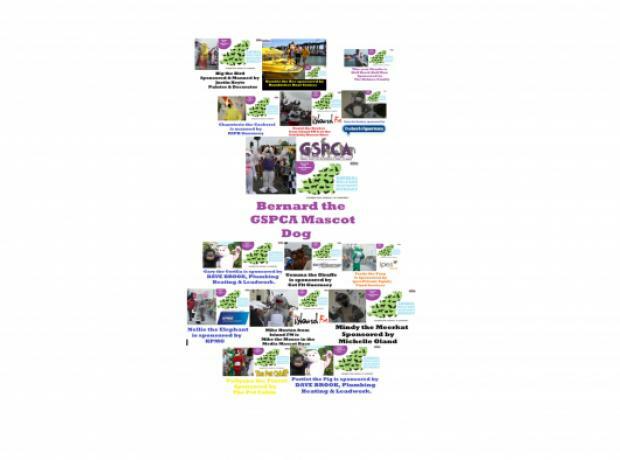 If you are going down to the West Show today or tomorrow keep an eye open for the Giant Animal Mascots who are collecting for the GSPCA. They are being manned by volunteers and also staff from KPMG who are helping the GSPCA at the Show and at the Shelter over the next few days. The suits they are manning are those available for the GSPCA Animal Welfare Seafront Sunday Giant Animal Mascot Race which takes place on the 15th September.